December 19, 1948 – Chauncey McCormick, the executor of the estate of Kate Sturges Buckingham, announces that with the war won and materials once again available, movement is being made on following Buckingham’s wish to construct a great memorial to Alexander Hamilton. McCormick says that about 20 possible locations for the memorial were surveyed in 1947, and the number of sites has since been narrowed down to about seven. 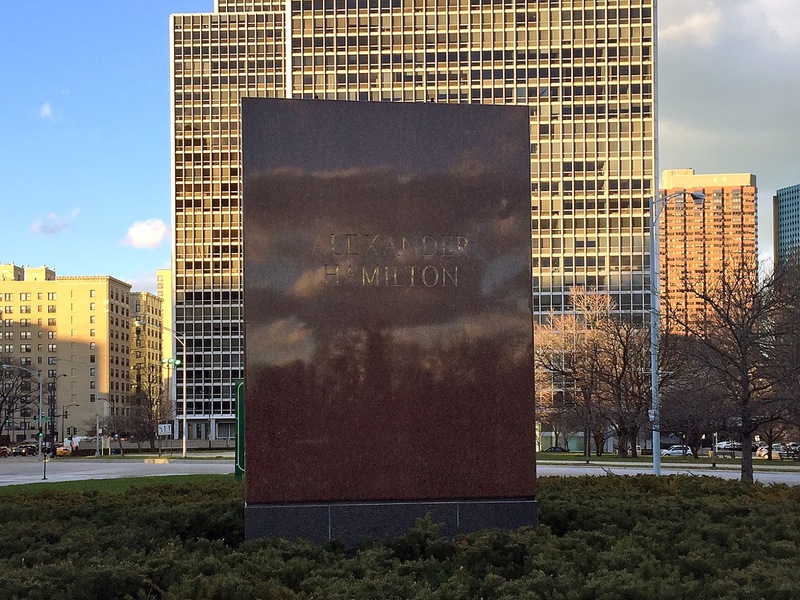 Trustees of the memorial fund are especially interested in the site of the United States Courthouse in the block bounded by Adams and Jackson on the north and south and Dearborn and Clark on the east and west. (Imagine a nine-foot statue of the founding father fighting for attention with Alexander Calder’s “Flamingo”!) 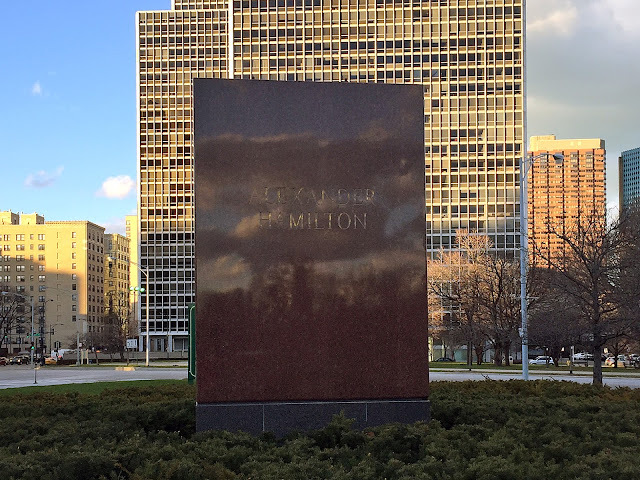 Buckingham established the memorial fund for the tribute to Hamilton in 1928, and when she died in 1937 her will specified that if the memorial had not been started by December 14, 1947 the million dollars set aside for it would go to the Art Institute to use as it wished; in 1947, therefore, the memorial trustees went to court and obtained an order delaying the date for completion to January 1, 1953. The story of Buckingham’s desire for the memorial to Hamilton is a long one and, to some, a tale with a less than satisfactory ending. You can read more about it here. The photo above shows the state of the memorial today. Just a polished granite base remains at Diversey and Stockton. Hamilton has been missing for over a year now, off somewhere being re-gilded. At least that's what the marker says.